“The Grass Is Always Greener” was polish of the month for August 2018. 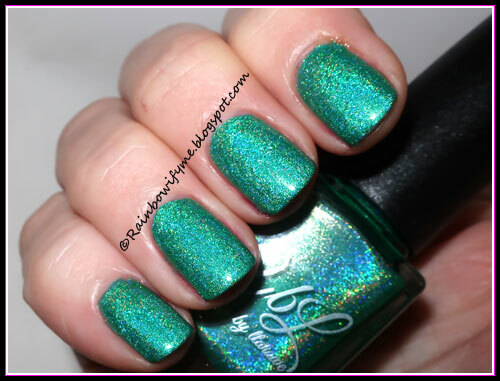 It’s a lovely green holographic with a great formula. The coverage is good, I used two easy coats for full opacity. The drying time is really good. The stamp is from the stamping plate “ZJOY-PLUS009”. 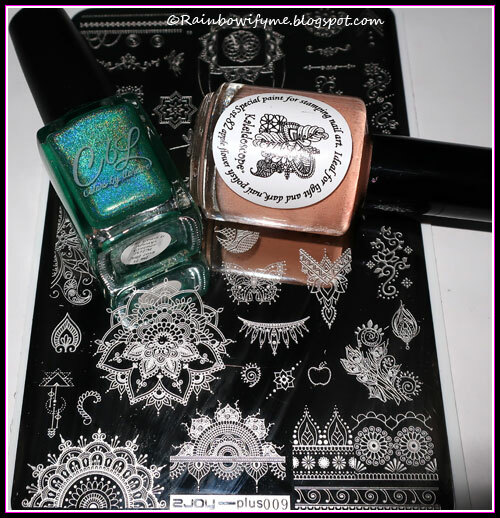 I stamped with El Corazón’s stamping polish “Apple Flower”. I topped it all with topcoat and then my manicure was finished. Here it is, photographed with flash. This photo is taken in daylight, no sun. Here’s “The Grass Is Always Greener” alone. This is two coats and no topcoat. The photo is taken with flash to show off the pretty blue holo flame. This is the stuffs I used today. “The Grass Is Always Greener” is a super pretty green. It’s limited edition.